The UAE was recently ranked 30th worldwide in attracting Foreign Direct Investments (FDI). This was partly the result of the country’s ascent in its Ease of Doing Business Index, compiled and published by the World Bank. In its latest report, the UAE was ranked 11th overall. That, among other factors pertaining to the UAE’s geographic and regional attractiveness as well as its stability, has ensured the UAE’s appeal in the past years. Moving forward, though, the UAE will need to tweak its economic policies towards a long-term and more sustainable trajectory in attracting FDI. There is one fix that would subsequently lead to another fix, with both contributing directly and indirectly to an increase in FDI coming in irrespective of everything else. The main fix is unpegging the dirham from the dollar, which will introduce autonomy in managing and calibrating the UAE’s monetary policy. In its latest quarterly report for 2018, the UAE’s Central Bank shed light on key economic facts and figures, which included the dirham’s appreciation versus other currencies. 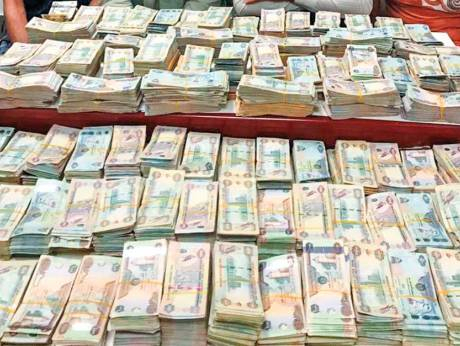 According to the report, the dirham has appreciated almost against every single other currency it was measured against for all of its top non-oil exporters and non-oil importers. The dirham, put simply, is significantly overvalued. While an overvalued currency increases the purchasing power of the dirham and encourages consumption and imports, an overvalued currency discourages exports and confuses the monetary policy of a country that cannot set its own because of the peg. Due to the peg, the UAE cannot adjust its monetary policy in accordance to what suits its economic indicators best, to attract FDI, for instance, when investors are on the lookout for good yields in a stable environment. Therefore, at times when the UAE should be hiking its interest rate, it cannot do so because it needs to track monetary policy decisions in the US. On the contrary, at times when the UAE should be lowering its interest rate, it cannot do so either because it will need to pay more to maintain the peg. That is, it will need to allocate additional assets from its reserves to buy dollars to facilitate business transactions and trade. This scenario though promotes UAE’s exports and tourism, at the higher cost of maintaining the dirham-dollar peg. For a country that is keen on expanding its tourism sector and being a transit and travel hub for the region, there’s no alternative for the UAE except to eventually unpeg its dirham from the dollar. Such a step would produce economic instability and vulnerability when first implemented, of course. However, it will enable the UAE to sustain its long-term attractiveness for: FDI, tourism, exports, and other non-oil related sectors of the economy. The freedom to dictate its own monetary policy will also make sure that the UAE can respond to economic shifts adequately and decide what works best for its economy relative to what’s happening in economies around it. The UAE stands to gain from a floating currency and a monetary policy tailor-made to its economic needs, regardless of when. Abdulnasser Alshaali is an economist.